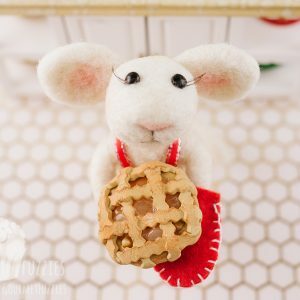 Petite Friends - The Petite Provisions Co.
I’m so glad you’ve decided to come and meet my petite friends, Gourmet Fuzzies! 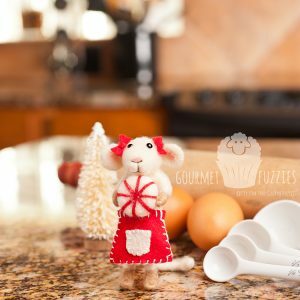 Gourmet Fuzzies are deliciously crafted wooly creations handmade by me, Erika Pitera. 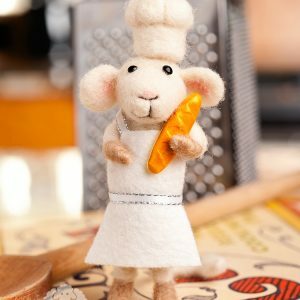 These little characters are created by needle felting, an art form that involves using a sharp, barbed needle to tangle, compact and sculpt wool fibers to create 3D figures or 2D art work. 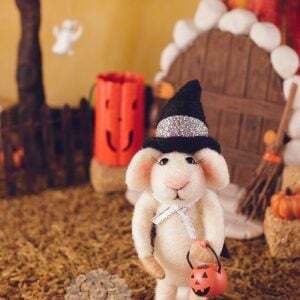 At this time, I’m only able to ship orders within the United States for items purchased on this website. 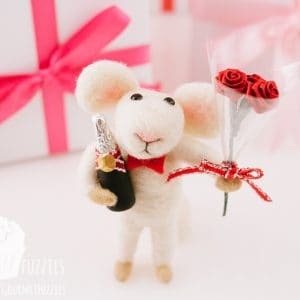 If you’re an international customer, please visit my separate Gourmet Fuzzies Etsy shop, where I ship worldwide. I accept all major credit cards and PayPal for payment. Please note that most of my characters are made to order and require approximately 2 weeks before shipping. 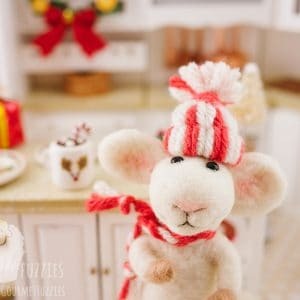 Wool, of course, is the main ingredient in all of my fuzzy creations! Nearly all of the wool I purchase is sourced from cruelty-free small farms and wool mills in the United States. I absolutely love animals, so I would never support any businesses that don’t take pride in their products and treat their animals with care and respect. 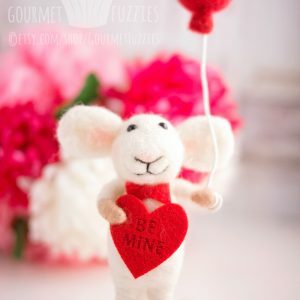 There are many different varieties of wool that come from different breeds of sheep, such as Romney, Merino and Corriedale. I also use fibers like suri alpaca, curly long locks from sheep and goats, and occasionally even mohair! 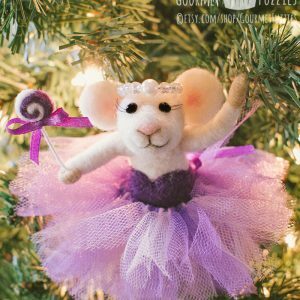 In addition to the wool, my fuzzies include wire armatures (wire “skeletons”), glass eyes, wool felt, polymer clay accessories and more! 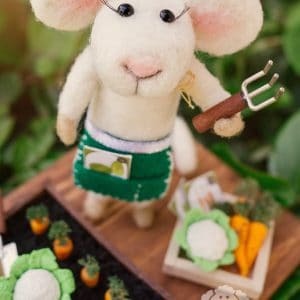 How long does it take to needle felt a sculpture? That entirely depends on the size and complexity of the project! 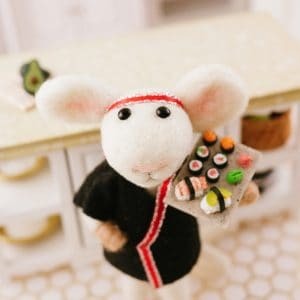 Most of my mice take approximately 3 hours of needle felting, plus another hour or more to add clothing and accessories. 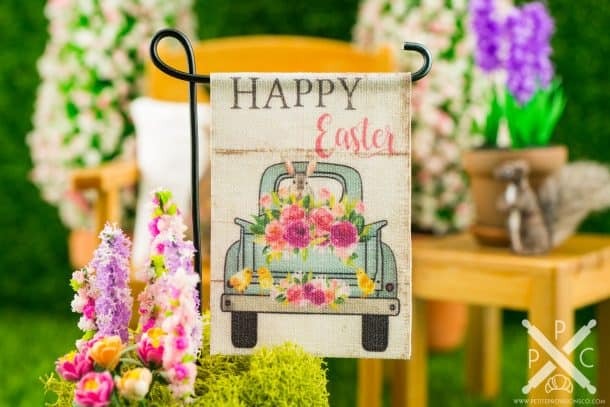 Larger projects can take days and days of work! 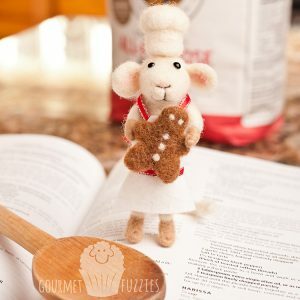 What’s the difference between wet felting and needle felting? 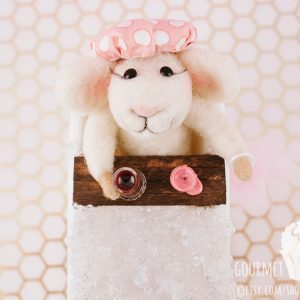 Most of my creations are 3D and are needle felted, meaning no water is involved – just the barbed felting needles and lots and lots of stabbing! Absolutely! I love pushing myself to try new things, so I’m always open to the idea of custom orders (i.e. 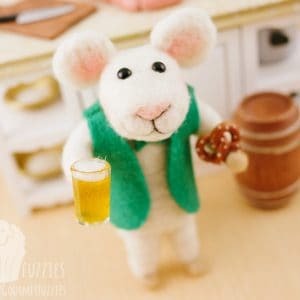 this custom fisherman mouse) and commissioned projects (i.e. this unicorn). Be sure to contact me with some details if you’re interested in a quote! 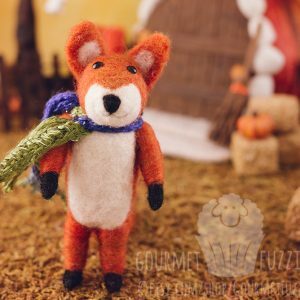 Where can I learn more about needle felting? 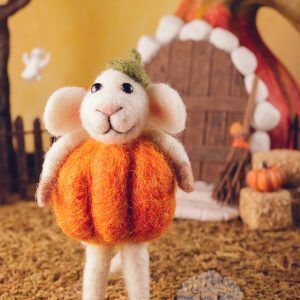 A quick search on needle felting will turn up countless kits for beginners, tutorials and more, but I can’t speak highly enough of Sarafina Fiber Art! 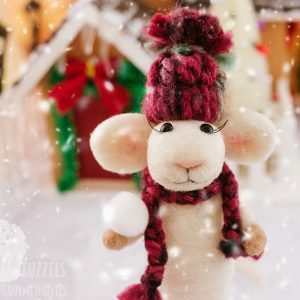 Based in the United States, Sarafina not only sells amazing supplies and wool but also records the most fantastic video tutorials out there! 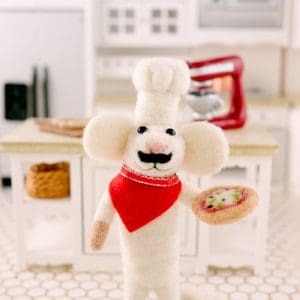 Be sure to check them out on YouTube if you want to try your hand at needle felting. 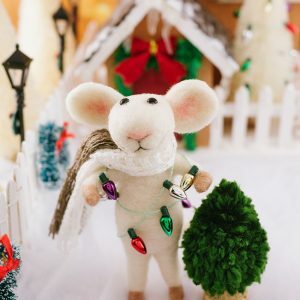 Are your mice 1:12 dollhouse scale? 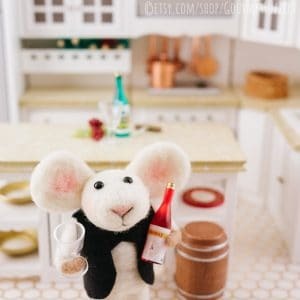 My mice average between 3-1/2″ and 4″ tall, making them suitable characters for 1″ scale dollhouses. 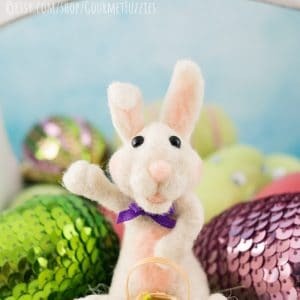 Since they’re not people but rather whimsical characters, they are shorter than most adult dolls, but they make a fun addition to a dollhouse scene.